Do you have a significant life or work problem that requires a decision you just can't seem to make? Feel like all you have is critics? This one-hour course is for you! P.S. Don't let thinking through issues be a postscript for you! You'll be glad you did. 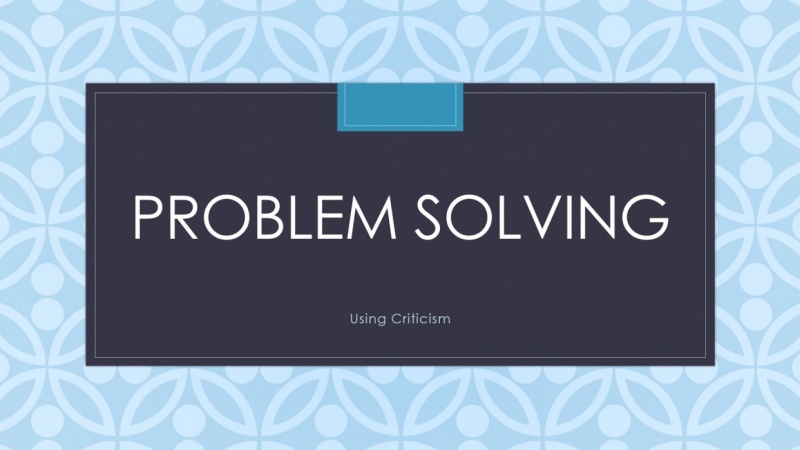 Your assignment is to analyze a problem by critique. You’ll start by defining a problem, which includes deciding what it entails, crafting potential solutions, and reviewing the pros and cons of each solution.. From there, you’ll document your result using the tips and tools I’ll provide along the way. Finally, you’ll get feedback from other participants. The full process typically takes 1-2 hours. A link to your analysis file for feedback from the community. Take this quiz to test and prove your knowledge retention.